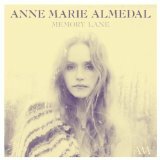 There are many gorgeous moments in Anne Marie Almedal’s album Memory Lane – the distillation of a host of folk and pop influences into a clean, uncluttered sound that draws equally on the inspiration of the landscape around her home in Kristiansand, which permeates the music and conjures a brooding, unsettled and occasionally restless atmosphere. Threads of nostalgia are tempered by elemental noises and echoes that give the album an almost metaphysical feel. The opening track, “Back to Where it Started”, with its soaring hints of Pentangle flute and guitar, is a tale for everyone looking in the rear view mirror, trying to recapture the mysterious moment when a relationship sprang into bloom. With her British husband and co-writer Nicholas Sillitoe, the Norwegian singer/songwriter has crafted a fresh, contemporary, ambient take on modern folk that completely subverts the increasingly tiresome clichés which abound around Nordic Noir. Sure, there is darkness and unease in her often introspective lyrics, but there is also an acknowledgement – even a celebration – of the cleansing, focusing effect of proper cold, freezing everything in a breath of innocence as it does on one of the standout tracks, “Winter Song”. If I say that this and the equally beautiful “Scars” remind me of Kate Bush’s 50 Words for Snow, the comparison is intended entirely as a compliment. 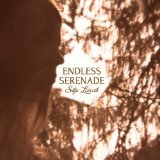 They are songs in which the combination of simple yet multi-layered lyrics and sumptuous harmonies generated by strings, wind chimes, even a singing bowl, deliver a subtle acoustic blow that raises the hairs on the back of your neck. Lyrically, Almedal draws her inspiration from the relationship between human experience and landscape. It isn’t always an easy one: “And It’s the Loneliness” urges us to look always to the horizon in our effort to keep love alive, “One Day” faces up to the uncertainty of the future. But an underlying optimism lifts even the bleak moments, imbuing them with warmth and quiet calm. In the company of her own songs, the two covers – of John Martyn’s “May You Never” and Bread’s “If” – seem almost superfluous. Where the latter is concerned, at least Almedal’s assured, fluid voice goes some way to exorcising the horrors of Telly Savalas’s spoken 1975 version, which continues to blight the song for those of us of a certain age.